EDMONTON, AB – Alley Kat Brewing has announced the return of a limited edition beer which was so popular the first time around that it spun off a series of sequels that have continued for more than year since. Red Dragon Double IPA is a single-hop beer made with Simcoe hops that was originally released as part of Alley Kat’s Big Bottle Series. It was such a hit that it inspired a bi-monthly series of follow-up beers, each of them a Double IPA made with a single hop variety, and named for a different coloured Dragon. 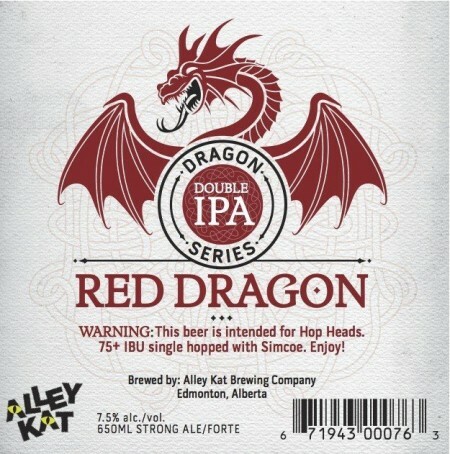 Alley Kat Red Dragon Double IPA is available now at the Alley Kat retail store and select liquor stores across Alberta.